How can donors and partner countries assess the intended and unintended consequences of donor interventions? The Organisation for Economic Cooperation and Development (OECD) explores ex ante Poverty Impact Assessment (PIA), which can assist in modifying the design of interventions to improve pro-poor impacts by identifying key areas for monitoring and evaluation (M&E). It can be applied to most modalities of donor support. PIA is a process which helps policy-makers to understand the intended and unintended consequences of their interventions. This approach considers that good design of an intervention requires governments and their partners to understand the effect of their policies on diverse social groups, actors and institutions, including those not targeted by the policy. The Paris Declaration on Aid Effectiveness stresses the importance of results-oriented frameworks, harmonisation and alignment to improve aid effectiveness and to assure better pro-poor outcomes. Yet, prior analysis of the impacts of policy and investment decisions on poverty reduction is a complex task. It is often built on contentious assumptions and is dependent on data availability. Ex ante PIA helps donors and their partners understand and maximise the poverty reducing impacts of their interventions. It responds both to the need for accountability to partners’ constituencies and to the importance of transparent evidence-based decision-making. It can identify interventions with high impact on poverty reduction and pro-poor growth as well as mitigating measures to protect the poor. A broad application of ex ante PIA could also provide a basis for a harmonised reporting system on poverty impacts. Poverty Impact Assessment helps decision makers determine strategic choices for public actions so as to have the greatest impact on reducing poverty and achieving pro-poor growth. PIA provides a better understanding about potential winners and losers of an intervention and thus strengthens a results-oriented approach. PIA helps to understand stakeholders and institutions that influence and are influenced by an intervention understand the importance and inter-relationship of specific transmission channels through which changes are transmitted to the stakeholders assess the likely positive and negative outcomes for stakeholders taking into account multi-dimensionality of poverty assess the reliability of data/information and knowledge gaps. Using PIA, policy-makers can estimate the likely quantitative and qualitative outcomes of the policy for poor groups, identify potential risks and assess the reliability of available data. Through involving people with different interests and approaches, ex-ante Impact Assessment helps to save resources, and design interventions to be better targeted to achieve their goals and avoid unintended harmful consequences. Thus it also contributes to strengthening the transparency and accountability of democratically elected governments, and encourages consistency of policy-making across policy areas. PIA is not just another new approach to assess the distributional impacts of interventions. It deliberately draws on existing approaches and their terminology, in particular on the Poverty and Social Impact Analysis (PSIA). While PSIA is more suitable for structural policy reforms, PIA is more a stand-alone approach to assess the poverty outcome at project and programme levels. But it can also help at the initial phase of sector or policy reforms to identify requirements for a full-fledged PSIA. PIA is thus less resource demanding. While a complete PSIA requires more than 100 000 Euro, the estimated cost of PIA is less than 20 000 Euro. PIA helps donors and partner countries identify the intended and unintended consequences of their interventions. PIA provides a framework for improving baseline data and monitoring the impact hypothesis during implementation and inputs for ex post evaluations. It formulates recommendations for decision makers on how the intervention might be improved. Ex ante PIA is designed to harmonise approaches. It seeks to avoid both incoherent assessments created by competing methods and often-conflicting demands placed on partner governments. It complements rather than replaces other assessments during the appraisal process, such as log-frame analysis, cost-benefit/cost-effectiveness analysis or environmental assessments. It can be applied to projects, programmes, sector-wide interventions and policy reforms. However, it is not useful for assessing budget support or identifying the poverty impacts of very small projects. This IPC Focus issue examines the usefulness of two recently developed analytical tools: Poverty and Social Impact Analysis (PSIA) and Poverty Impact Assessment (PIA). Both approaches provide a framework to analyse the distributional impact of policies, programmes and projects. PSIA involves in-depth analysis of complex policy reform processes and offers evidence-based policy choices. PIA focuses on decisions concerning development projects and programmes. To explore PSIA’s and PIA’s potential contribution to more effective poverty reduction policies, individual articles in this volume. Lessons learned in conducting Ex Ante Poverty Impact Assessment for a Natural Resource Management Programme in India Third Round Table MfDR – Hanoi 2007. PSIA is an approach developed in 2001 by the World Bank and other donors, while the PIA came about in 2006 as a result of discussions within the OECD Development Assistance Committee (DAC). The main difference between both tools is that the PIA is designed to focus on project, programmes or specific policy reforms, while the PSIA approach is better for macroeconomic and structural policy reforms. Since PSIA was introduced, approximately 150 assessments have been conducted and the International Poverty Centre (IPC) show that it has been applied with a different degree of success in different occasions. Most of the articles in the journal agree that further progress needs to be made in order to unleash PSIA’s full potential. This World Bank website was conceived as a forum for interaction and a tool for disseminating experience. The Sourcebook is a valuable resource which provides solution-oriented examples of MfDR in action for practitioners at many levels and in many contexts. By focusing on observable and replicable interventions, the Sourcebook aims to increase the understanding of MfDR and illustrate how many stakeholders are effectively implementing MfDR principles for greater development effectiveness. An International Conference in Africa for policy-makers, program managers, evaluators, sponsors and other stakeholders in evaluation and development. CIARIS Learning and Resources Centre on Social Inclusion. CIARIS has a history of knowledge development on social inclusion issues, people, information and communication technologies. CIARIS aims to strengthen practicioners’ capacity to design, plan, manage and evaluate projects and policies to fight social exclusion and hence promote decent work. As determined by the Human Rights Council, the independent expert will continue to examine the relationship between the enjoyment of human rights and extreme poverty, paying particular attention to issues of discrimination and the situation of women, children, persons with disabilities and other vulnerable groups. The CPRC Bibliographic Database provides a searchable index of publications related to chronic poverty, produced by CPRC and others. The DAC Scoping Study of Donor Poverty Reduction Policies and Practices assesses the performance of development agencies. Development agencies are more determined than ever before to ensure development co-operation results in poverty reduction. The fact that all OECD/DAC Member Governments have signed up to the International Development Goals is the clearest sign of this commitment. By providing practical advice, the guidelines aim to help mainstream poverty reduction even more successfully in the work of GTZ. The guidelines ofer suggestions, lines of argument, references for further reading, links and methodological pointers that can help us support our partners in reducing poverty sustainably. Practical examples and references to existing GTZ guidelines complement the present guidelines. Poverty and Social Impact Analysis of Reforms presents a collection of case studies that illustrate the spectrum of sectors and policy reforms to which PSIA can be applied; it also elaborates on the broad range of analytical tools and techniques that can be used for PSIA. The case studies provide examples of the impact that PSIA can have on the design of policy reforms and draw operational lessons for PSIA implementation. Poverty reduction, economic growth and the maintenance of life-supporting environmental resources are inextricably linked. This document attempts to clarify the key linkages between these areas, with special attention paid to their gender dimension and the policy implicatons at the local, sectoral and national levels. It aims to provide an analytical road-map which could be used a reference for more detailed sector and country-specific examinations. This Good Practice Note provides advice to World Bank task teams on when, why and how to conduct PSIA as part of preparing a Development Policy Operation (DPO). This note updates the 2004 Good Practice Note by incorporating practical lessons from PSIA implementation over the past three years, as well as comments received during the external consultations held in 2007/08. What Connects Regulatory Governance to Poverty? The paper describes the different interpretations of poverty and the interpretation of regulatory governance and examines the possible linkages between regulatory governance and poverty reduction. Relative poverty – meaning falling behind most others in the community – is often even more strengthened by restrictively market-oriented policy formulation that does not take into account the cultural context and the specific understanding and knowledge regarding the inputs and choices of affected parties. BRIDGE Gender and Poverty publications include summaries of key materials, good practice cases, lists of tools and checklists and key online resources. This Guide provides quick access to BLDS resources through pre-designed searches of the catalogue’s 150 000 plus records. CROP is an international research programme initiated in 1992 by the International Social Science Council. It is now one of the major programmes of the Council. Hosting CROPnet as open network. Development Gateway topic pages are e-communities led by experts in the development field. They connect partners, members, organizations and other stakeholders by providing opportunities to exchange knowledge, know-how and opinions. Eldis Resource Guides provide easy structured access to our extensive collection of research and policy documents. All are editorially selected, summarised and available free to download in full text. Resource guides are intended to help you keep up to date with the latest in development research, policy and practice. At this Evaluation Portal you find hand-picked, human-edited, categorized information about the topic ”evaluation” (and a bit about social science methods). Focuss.info provides a high quality search engine for practitioners, researchers and students in the area of global development studies. When these websites are available on the Internet, the Focuss.Info search engine indexes the hand-picked websites, with a focus on global development cooperation, and make these websites full text retrievable. In other words: start saving and sharing your favorite websites via social bookmarks spaces, such as Delicious or CiteULike, and report your social bookmark account to the Focuss.Info Initiative. Free evaluation resources for developing countries. Gene Shackman created this site to work with a coalition of evaluators and evaluation organizations to provide evaluation, consulting or training resources to organizations and evaluators in developing countries. Since the creation of the Global Donor Platform for Rural Development in 2004, major bilateral and multilateral development agencies are united in a coordinated endeavour to get the rural development agenda right. Donors are committed to achieving increased development assistance impact and more effective investment in rural development and agriculture. ESRC-funded multidisciplinary research group providing a framework for collaboration between the Centre for the Study of African Economies (CSAE) at Oxford University, and IDPM and CPRC at Manchester University. GTZ supports partners in developing countries as well as BMZ, other ministries and international organisations. This support is focussing on strategies for broad-based growth, the implementation of national poverty reduction strategies, poverty-oriented results monitoring and policy monitoring. Based in Brazil, IPC serves as the nexus for promoting, learning and knowledge sharing on key poverty concerns among developing countries to improve the living conditions of the world’s poorest citizens. The Centre’s mission is to facilitate South-South learning in development solutions by fostering policy dialogue; carrying out policy-oriented research; as well as conducting training and evaluation. Its vision is the attainment of high inclusive growth. See in particular research and publications on social protection and cash transfers. 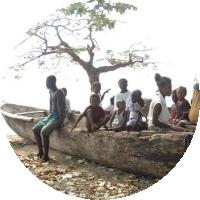 Website to make the contents of Methods for Social Researchers in Developing Countries available free to researchers in developing countries, where books are too expensive for faculty, students, or even for libraries to buy. This IRIS Center Website hosts updates and reports and discussions around developing and recommending poverty assessment tools. It also hosts a Poverty Assessment Tools listserv, where discussions are moderated and conducted with bounded timelines. Summaries of previous listserv discussions are also available. PovertyFrontiers is a USAID-supported Website dedicated to sharing knowledge and resources on poverty reduction, pro-poor growth, asset-based approaches to development, and poverty-related issues. PovertyFrontiers is also a forum for those involved in poverty reduction to exchange ideas and best practices. This Website is a great resource for those seeking information on poverty research, measurement and analysis. Q-Squared aims to promote better integration of qualitative and quantitative poverty research methods. The site links to a variety of commissioned publications presenting good practice in accurate poverty research, as well as information about training, news and events. This site is the home page for a number of additional Webpages, each of which provides brief, easily understood descriptions and illustrations of virtually any social research method you might want to use; covers the foundations of research, sampling, measurement, design, analysis, and the process of writing up a research report. Provides selected, high quality information for students and researchers in the social sciences, business, and law; also provides links to over 50,000 social science Webpages. Provides brief descriptions of and links to a wide variety of databases produced by Statistics Division, UN, and that are available with unrestricted access. Provides links for online access to statistical and other information from more than 70 agencies of the U.S. government and statistical offices of most countries throughout the world. This international partnership of universities, research institutes and NGOs was established in 2000 with initial funding from the United Kingdom’s Department for International Development (DFID). The Division seeks to strengthen international cooperation for social development, particularly in the areas of poverty eradication, productive employment and decent work and the social inclusion of older persons, youth, family, persons with disabilities, indigenous peoples, persons in situations of conflict and other groups or persons marginalized from society and development. This site hosts the Country Level Evaluation Database and the UNDP Evaluation Resource Center (ERC). UNEG has many links to external evaluation resources including evaluation associations and societies, international organisations, training resources and governments. This UNDP website has been launched and is being maintained as one of the components of the regional project on ex-ante Impact Assessment funded by UNDP Bratislava Regional Centre for Europe and the Commonwealth of Independent States and the Local Government and Public Service Support Initiative of Open Society Institute, Budapest. Under the ”best practices” heading, the Virtual Resource Centre aims to show a selection of key steps and ideas in the ex-ante impact assessment process, drawn from the work of key institutions or recorded in countries implementing the ex-ante impact assessment process in their policy formulation. Provides over 600 links, including nearly 400 pages that perform calculations, and growing; a source of information on almost anything you might need in conducting analyses and calculations, including links to interactive statistics, free software, books and manuals, and demonstrations and tutorials.